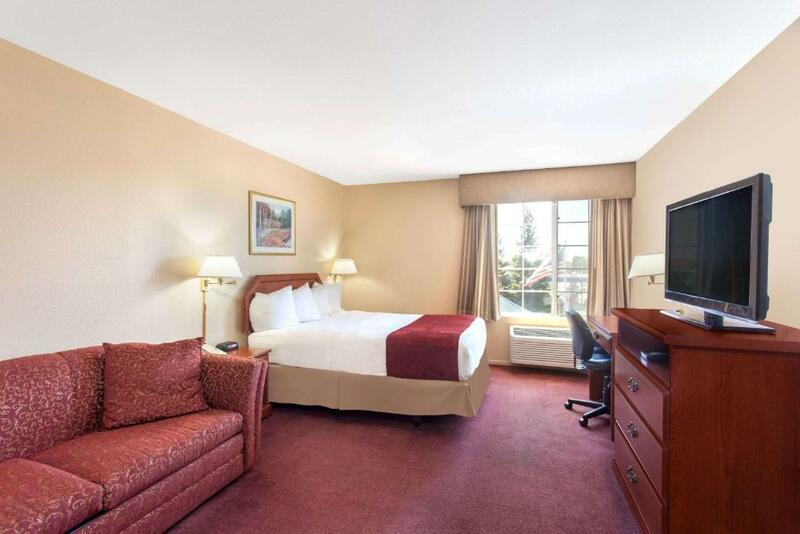 Cozy accommodations fitness and business centers are our guest-pleasers at the conveniently located Ramada Fresno Northwest. 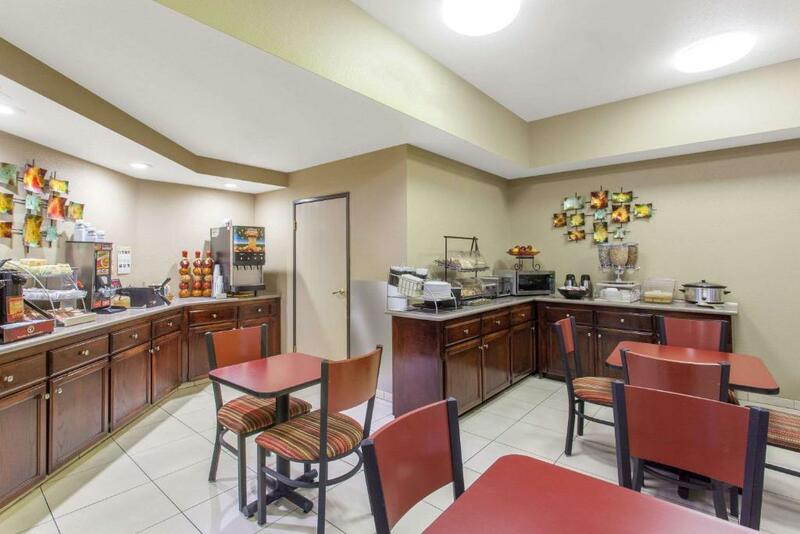 Each of the 56 rooms and suites at the three-story non-smoking Ramada has plushtop bedding a work desk microwave mini-fridge coffeemaker and cable TV with HBO. 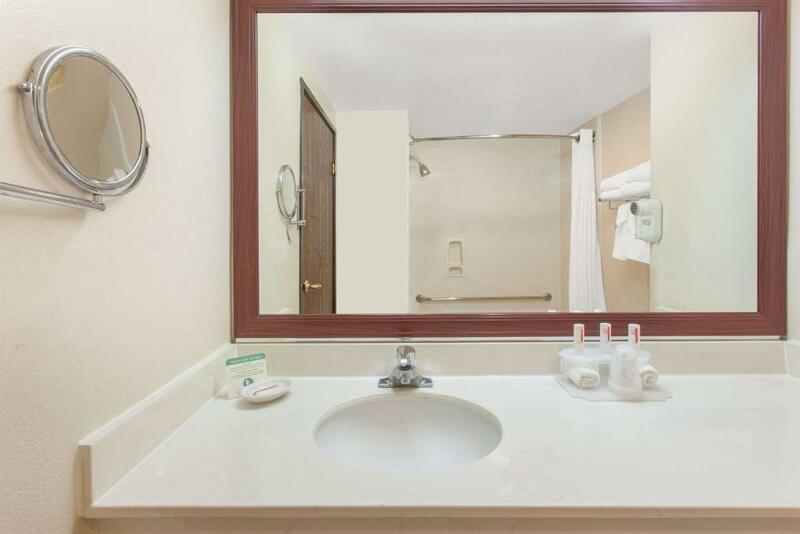 Two phones an AM/FM clock radio and designer bath amenities are included as well. 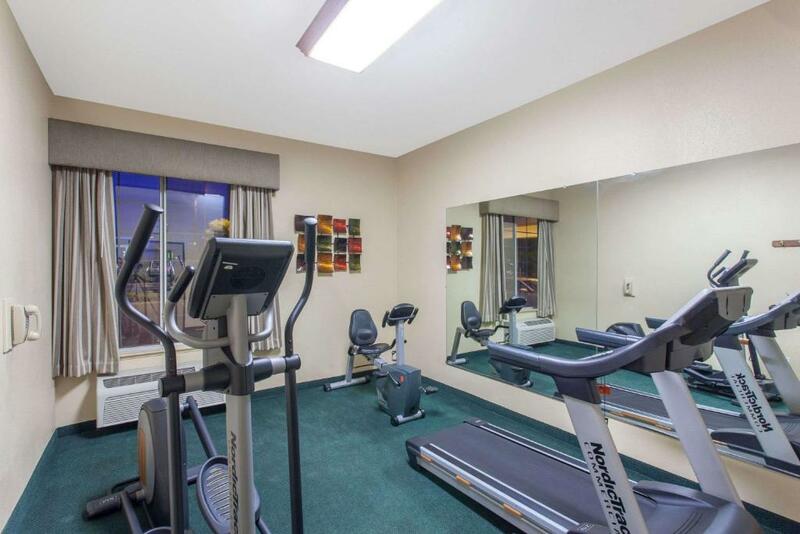 On-site amenities include a fitness center a 24-hour business center a convenience mart and a guest laundromat. 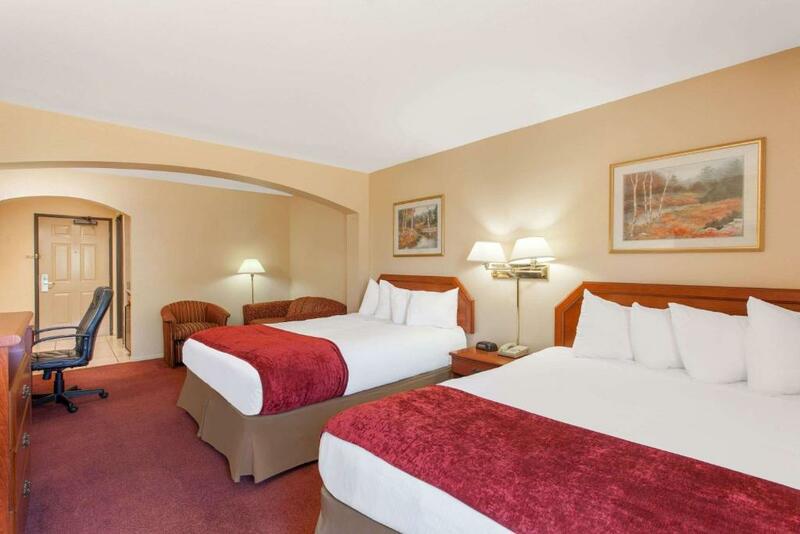 Ramada Fresno Northwest is located on Highway 99 at Shaw Avenue about 15 minutes from downtown Fresno Selland Arena and the Fresno Convention & Entertainment Center. Forestiere Underground Garden is about five blocks away and Island Water Park is one mile from the hotel. 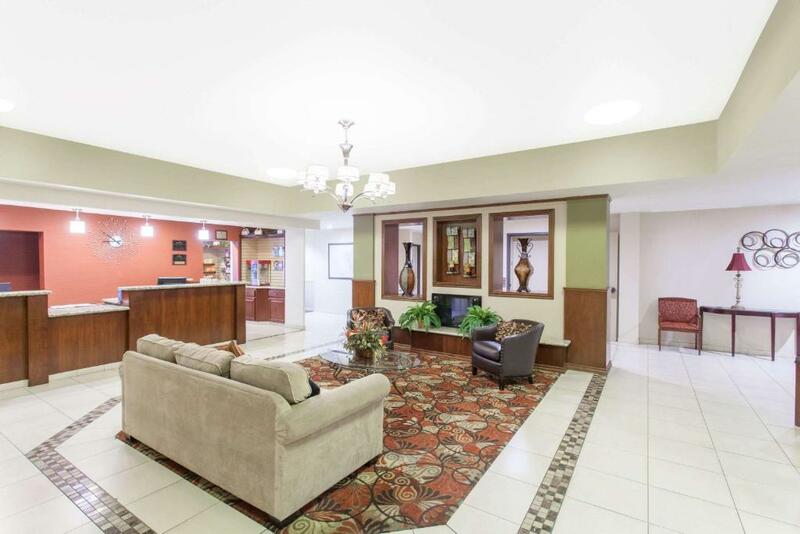 Fig Garden Village Fresno Chaffee Zoo and Roeding Park are within five miles of the property and the Fresno Art Museum Meux Home Museum Discovery Center and Woodward Regional Park/Shinzen Japanese Gardens are about 15 minutes away. Shoppers can indulge at Fashion Fair Mall or River Park Shopping Center 20 minutes from the hotel. Fresno Yosemite International Airport is 13 miles away. 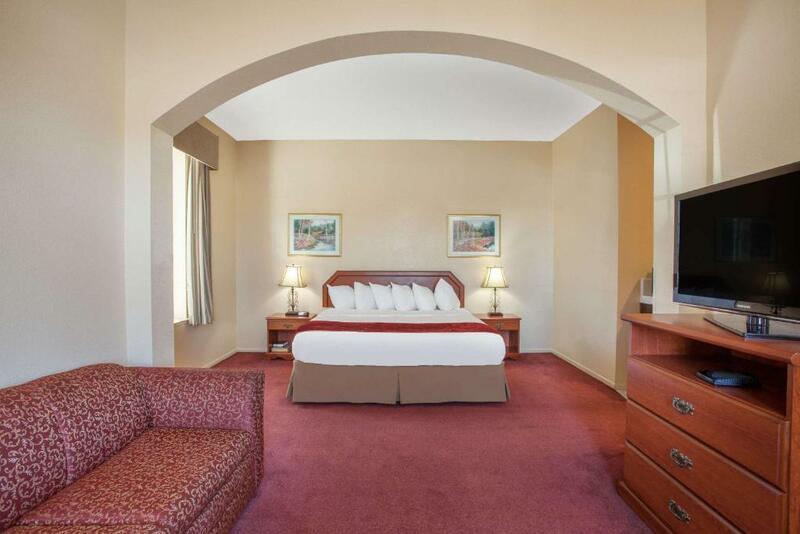 A handy location and plenty of on-site amenities make Ramada Fresno Northwest a favorite among our guests staying in Fresno.